It used to be that you could buy an American-made, spring-clothespin that held laundry on the line dependably, and did its job faithfully for decades. That, however, has not been the case for a very long time. All the “retail” clothespins sold these days are pretty-much-useless imports. They are made with wimpy springs and cheap-quality wood. They don’t hold clothes on a line, and they break easily. If you use clothespins, you already know this. If you don’t use clothespins, just ask someone who does. Or search some clothespin discussions on the internet. The total lack of well-made, dependable, heirloom-quality clothespins led me to develop my own clothespin design in 2012. Making clothespins as a personal woodworking project was something new in the world of woodworking. From the very beginning, my objective in developing a quality, handcrafted clothespin design was to share it with other woodworkers. If I supplied some clear specifications, any woodworker could then make heirloom-quality handcrafted clothespins, either as a personal woodworking project, or as a small business. With that in mind, I have put together a step-by-step, 10-page specifications package. 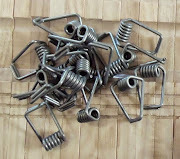 I also sell the high-quality, stainless steel clothespin springs I developed for my clothespins. 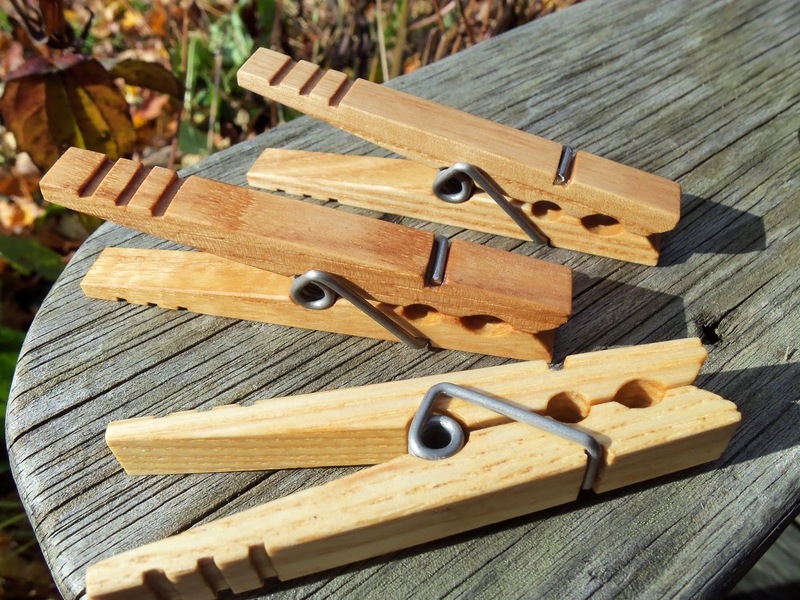 If you are an experienced woodworker, looking for a challenging little project, I recommend that you try making some of my classic clothespins. They are beautiful. They are practical. They make wonderful gifts. If you are an experienced woodworker looking for a unique niche product that you can make and sell (and actually make some money selling) I recommend “artisan” clothespins. I made approximately 10,000 Classic American clothespins in 2013 and they sold out within a month of putting them up for sale at my web site. I made another 10,000 clothespins in the fall of 2014 and sold over 8,000 in about 12 hours (I reserved the other 2,000 to sell as samples). Whether you decide to make clothespins as a personal woodworking project or as an artisan woodworking business, I want to make it perfectly clear that this is not a project for woodworking amateurs. On a scale of 1 to 10, with 1 being a basic bird house, and 10 being a Chippendale block-front desk and bookcase, I would say that making clothespins is a 6 or 7. Although there is nothing particularly difficult about the project, it does require careful measurements, precise tool set-up, and skilled material handling. Furthermore, it demands a patient, focused, step-by-step approach. Click Here to see some pictures showing how I made my Classic American clothespins when prototyping the design back in 2012. I prototyped my Classic American clothespins using a common tape measure, a basic Craftsman table saw, a Bosch router table, some inexpensive router bits, and a few locking C-clamps. My first production run (2013) of 20,000 clothespin halves was done with the same tools, except I put the tape measure aside and used a $40 Digital Caliper, which I now consider an absolute necessity for making clothespins. In 2014, I upgraded from the router table to a Grizzly G1035 Shaper, coupled with a Grizzly Baby Power Feeder. Both are worthwhile tools if you think you might want to make a LOT of clothespins. I also upgraded to using two different Forrest saw blades, which are remarkable blades and well worth their high cost. If the idea of making heirloom-quality clothespins appeals to you, either as a personal project or as a business, I recommend that you begin by checking out my entire web site at ClassicAmericanClothespins.com. Also, check out the Directory of Artisan Clothespin Makers at GoodClothespins.com. 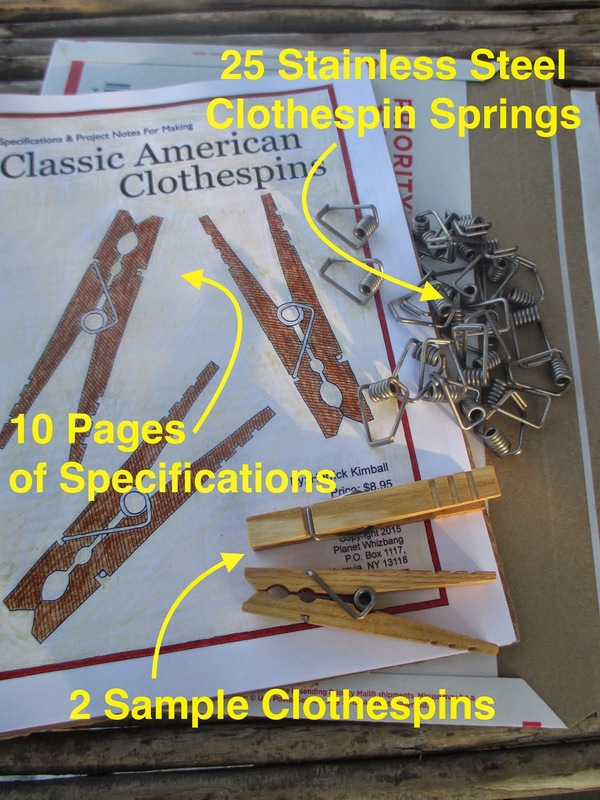 Then, I suggest that you purchase a copy of "Specifications & Project Notes For Making Classic American Clothespins" At This Link.